By helping more people find your construction firm and turning those individuals into warm leads, a blog acts as the linchpin that keeps your digital marketing strategy running smoothly. The better you understand how your blog does this, the better you can manage it to your advantage. 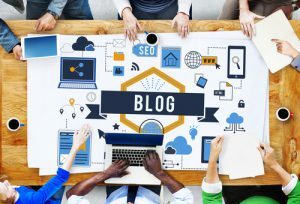 Blogging helps improve your search engine ranking by keeping your site regularly updated with fresh content and increasing the amount of searched-for phrases on your site, as well as by attracting links from other websites and social shares from your readers. Your blog also makes it easier to reach your potential clients on social media by giving you a source of content to post. Plan content for your blog, then draw on it for your Facebook posts, Instagram pictures, and Twitter tweets. If you write a post about renovating a clubhouse one week, you can use photos, tips, and interesting facts from that post as the week’s social media content. When a potential lead does click through your search engine link or social media post, your blog will be there to welcome them. 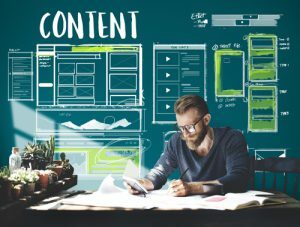 Unlike a skimpy brochure website, a blog can hold their attention with valuable content, demonstrate the benefits of working with your firm, and lead readers toward handing over their contact information. Your blog’s RSS feed and email digests give you more ways to stay in touch with your prospects. To keep your prospects interested and build a good rapport, your digital marketing strategy needs a mix of content that lets your audience interact with your company in a variety of ways. A blogging platform makes it easy to upload and organize all kinds of content, including images, videos, audio, and downloadable PDFs. As an added benefit, a blog gives you a way to gather data such as keyword activity, page views, and click paths that tell you what your target audience wants so you can give them more of it. Good planning and time management makes content creation easier and helps ensure you really connect with the construction clients you want. No single content planning method is right for everyone, though. Find one that fits your working style and you can get better results with less effort. Keep it short, sweet, and timely – What’s basic information to you might be a valuable discovery for your readers. To make things easier on both of you, base your content on the topics you find easy to write about and keep it short and pithy. Make a list of topics you’re well versed in so you’ll always have ideas on hand. Because you won’t need extensive research for this method, you can more easily hook into trending topics. Get fresh ideas from your clients’ questions, the topics your social media followers are talking about, and the blog comments and forum posts you’ve read recently. Let your audience lead – If you’re new to content planning and not quite sure what will appeal to your target audience, a little research can help. Find out what your potential clients are looking for online by conducting keyword research and checking out your competitors’ blogs and social media accounts to see what’s getting comments and shares. Ask your current clients what they’d like to learn more about, too. Then combine their interests with your goals. If you want more commercial retail clients and find they’re interested in natural lighting options for flex spaces, there’s your next blog post idea. Play the long game – If you want to make content a major part of your marketing, it will be easier to stay on track by planning three months to a year out. Creating an editorial calendar far in advance gives you the time you need to develop comprehensive, in-depth content that garners back links and social shares. You’ll have a chance to do thorough research, conduct interviews, and arrange guest posts. This method also ensures you’ll always have ideas ready to go. Even if your favorite sources of construction leads are keeping you busy for now, it never hurts to have more tricks up your sleeve for finding leads online. Look in the less obvious places and you might find they give you some of your best clients yet. Work with strategic partners – Cross-marketing with non-competing businesses and organizations that work with the same market as you puts you in touch with new leads while also strengthening your network. Potential partners include materials suppliers, architects, and tradespeople such as roofers and carpenters. Even non-profits can help bring you leads. If you specialize in eco-friendly home remodeling, you might partner with a non-profit that focuses on health or environmental issues. Cooperating can be as simple as exchanging ads in each other’s email newsletters or social media posts or guest blogging for each other’s blogs. Offer your guidance – Forums, blogs, and social media accounts where your target market spends their time are all opportunities for finding leads online. People come to these sites for guidance when they’re planning a new project or have a problem with an on-going project. By browsing for questions related to your services and taking a moment to reply, you’ll get your firm’s name on the radar not just of that poster but also of anyone else who happens by looking for answers. Put it on video – Youtube remains one of the largest search engines in the world, yet it’s easy to overlook as a source of leads. Posting videos of your completed projects might help turn interested prospects into clients, but it won’t necessarily bring in new leads. To reach people who haven’t heard of you yet, focus on providing information that will help your ideal clients get their projects started. For example, if you offer remodeling services, create videos on simple DIY remodeling projects. A DIY-enthusiast homeowner might put in new kitchen cabinets themselves, but hire you to remodel their bathroom. How Does Geo-Targeted Marketing Work? By its very nature, a construction project’s development is deeply intertwined with the needs of the geographic area where it takes place. Geo-targeted marketing lets you address your ideal prospect’s location-specific interests to show them you understand their needs. Simply put, geo-targeted marketing, or location targeting, means directing your online marketing at specific geographic areas. Offline, you can easily target residents of a particular area just by placing ads in local newspapers and radio programs. Online, unless your ads are geo-targeted, anyone can see them. That makes it hard to speak to the differing needs of people in diverse locations. When you geo-target your marketing, you can customize your ads to let your would-be clients know you understand the challenges they face, such as working within strict building energy codes or building in heavily forested, high-elevation areas. By focusing on relevant specifics, you’ll attract attention and build trust. 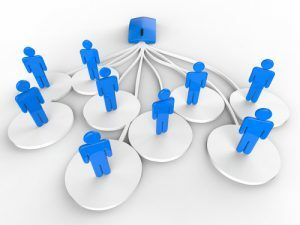 Geo-targeted marketing typically works by using a visitor’s IP address to determine their location. To do this, ad servers and platforms use information from geolocation services. This method isn’t flawless, but it can usually narrow down a user’s location to their postal code. When you advertise on a platform such as Facebook Ads or Video Ads for YouTube, you can choose to show your ads to a specific city, neighborhood or postal code, depending on the platform. This lets you offer location-specific ads that lead to landing pages designed especially for that area’s audience. It also helps you target by demographic group by focusing your marketing on areas that are favored by a certain age- or income-range. If you want to attract people to an event at your office, you can send SMS ads or place online ads that will reach those within a small radius of where you are. For behavior-based geo-targeting, you can target the area around places your potential clients might visit, such as home improvement stores. 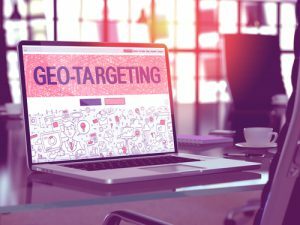 Posted on April 5, 2018 April 1, 2018 Author David MineerCategories NewsTags geo targeting, local marketing1 Comment on How Does Geo-Targeted Marketing Work? Because it can take months for construction leads to turn into clients, it pays to stay in contact with your prospects over the long term. An email drip campaign lets you keep in touch without adding to the work you already have. An email drip campaign is a pre-scheduled sequence of emails automated to be sent at specific intervals. 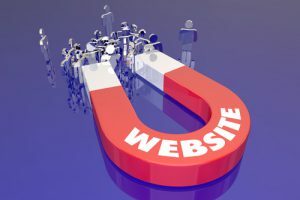 These campaigns are often set up to start when a website visitor performs a trigger action, such as downloading a free tips sheet or signing up for a webinar. The ultimate goal is to guide your prospect through your sales funnel, but each campaign has a more specific primary goal. It might be to welcome new leads, educate prospects about the services you provide, nurture greater trust and rapport or reconnect with a client you haven’t heard from in six months or longer. Regular, well-timed contact keeps your firm at the top of your prospects’ minds, while also letting you soft-sell your services by showcasing your successes. It can also help you build long-term relationships that result in more return clients and referrals. When you set out to create a campaign, know your goal first. What step do you want to lead your prospect toward? The content in your emails should give your prospects whatever they need to take that step, whether it’s a clearer understanding of your design-build process or more reassurance of your skill at restoring historical homes. Finally, decide how many emails to include in each campaign, as well as when each email will be sent. As a rough guide, you’ll want to start out with a higher frequency, then slow down over time. 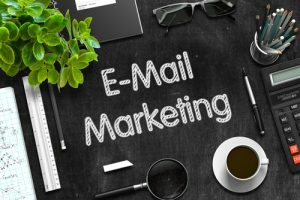 A welcome campaign might consist of a daily email for one week, whereas in a lead nurturing campaign, you might send a weekly email for the first month, then cut back to one every two weeks for the next two months.